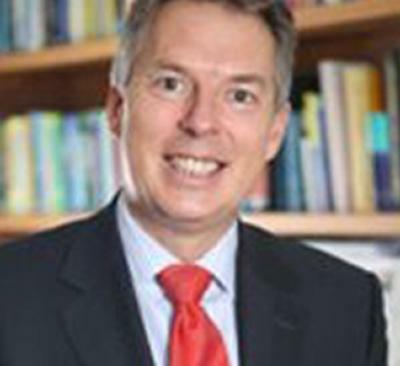 The University of Southampton has appointed Professor Don Nutbeam as its next Vice-Chancellor. Professor Nutbeam, a world-renowned expert in public health, is currently Academic Provost at the University of Sydney. A Southampton alumnus, his new position will see him return to lead the University where he completed his postgraduate education in the 1980s. He takes over as Vice-Chancellor when Professor Bill Wakeham retires in September 2009. Don Nutbeam’s career has involved senior positions in universities, government, health services and an independent research institute. Between 2000 and 2003 he was Head of Public Health in the UK’s Department of Health, leading policy development within the Department and across government on a range of public health challenges. He holds dual British and Australian nationality and is married with two children. His research career, which spans 30 years, has included public health intervention research in schools and communities, as well as studies of health literacy and adolescent health behaviour. More recently, he has combined his academic and policy experience to examine the uses of evidence in policy-making. Professor Nutbeam is the author of over 100 publications in peer-reviewed journals and has written two popular public health text books. He has also worked as an advisor and consultant for the World Health Organisation over a 20-year period and as consultant and team leader in projects for the World Bank. Commenting on his appointment, Professor Nutbeam (53) said: “I feel very privileged to be returning as Vice-Chancellor to the University where I completed my postgraduate education. His appointment was announced by the University’s Council at their meeting on 25 September 2008. Between 1990 and 2000, Professor Nutbeam was Professor of Public Health, Associate Dean of Medicine and Head of the School of Public Health at the University of Sydney. 1988 to 1990, he was Director of Research and Policy Development for the government agency – Health Promotion Authority for Wales.